When Laurel Rockwell thinks back to the days her three pre-teen children skied competitively, she doesn’t have fond memories. The kids weren’t enjoying it. The family was divided going to different locations for races. Worse, ski racing for three kids came with a price tag of nearly $10,000 per season. Laurel is far from alone in feeling the financial sting of winter sports. Thankfully, seven years ago the Ottawa area mom found an alternative: speed skating. The Rockwells found a way to keep their family active during the winter without going broke. Whether you’re looking to cut the cost of organized sports or find less expensive alternatives, there’s a number of ways you can make getting active more affordable for your family this winter. Buying used equipment is key, says Kevin Manias. The high school chemistry teacher in Calgary is a lifelong skier who introduced his daughter, Tiana, to the slopes when she was four. She’s now nine. 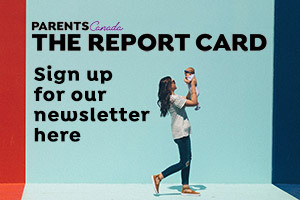 Glen McCurdie, vice-president of membership services for Hockey Canada, says sometimes parents can get too caught up in outfitting their son or daughter in the latest gear. Problems can arise when there’s pressure to have matching bags, pants, helmets and gloves. “The cost of equipment is, essentially, what a parent’s willing to pay,” says Glen, who also advocates buying quality pre-owned equipment, provided it is deemed safe to use. Similar pressures exist in the figure skating world, says Jeff Partrick of Brandon, Man. Jeff is the director of coaching and skating programs with Skate Canada, the governing body for the sport. He says parents don’t have to spend hundreds of dollars on new skating costumes or popular designer skating bags with wheels. Bottom line: “You don’t need the special clothing. Anything will do. Just go out and skate,” he says. Skate Canada’s long-term athlete development strategy focuses on getting kids on the ice, not how many competitions they’re in. “Don’t get in the car and travel three or four hours to a competition for your six-year-old. You can do a club competition that’s just as good and doesn’t involve the expense and the travel,” Jeff says. Travel and ice availability can drive up the cost of hockey, too, Glen says. Whether your city doesn’t have enough rinks, or has too many privately owned rinks, chances are the cost of ice time has risen in recent years. But Glen notes it hasn’t affected the national registration numbers for hockey, which have remained relatively stable. “Minimize the number of away tournaments, maximize ice time by having two teams at younger levels using one sheet of ice at the same time. There’s no reason for four-year-olds to play on the full ice,” Glen says. “A general rule of thumb would be that the higher level of play, the higher the cost,” Glen says. That makes house league hockey a good option for cost-conscious families. On the slopes, Kevin Manias says his family had to make some compromises, beyond equipment, to keep skiing. He used to buy a season pass at Lake Louise, but when the resort raised its prices, he switched to Sunshine Village. Still, season passes, equipment and travel for himself, his wife, Carolina, and their daughter will set the family back about $2,500 for the winter. The most important point is to encourage activity in young people. Jeff skated for 10 years at the national and international level before moving to Ottawa to work for Skate Canada 13 years ago. “For my kids, I don’t really care if they don’t want to become figure skaters or hockey players. I just want them to have a good ability to skate,” Jeff says. “To encourage that whole active-for-life component is such a great thing to have when we live in a northern climate. You don’t have to sign up for an organized sport to get moving in the winter. “In Calgary there are many lower cost activities that families can do on a winter day,” Kevin says. 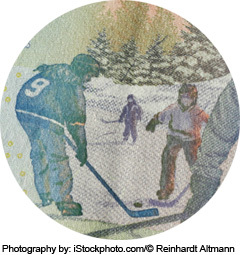 Hockey Canada has recognized some families need help to afford the sport. In October, the organization launched a loyalty program called Club Hockey Canada. Dave Briggs is a freelance writer in Port Stanley, Ont., and a father of three. He spends winter skiing and watching football and hockey. Originally published in ParentsCanada magazine, December 2012. Does the long, dark winter leave you cold?